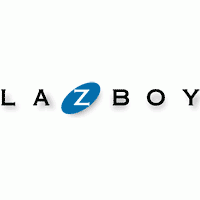 •	Special financing is available on all orders placed on the La-Z-Boy website directly from the La-Z-Boy company. Special financing packages are available for those that qualify, with financing available for most everyone. •	Exclusive deals are going to be sent out via social media from time to time. Red-hot offers on refurbished merchandise are found in the OFFER section of the site. La-Z-Boy is a furniture manufacturer and retailer. You can find sofas, chairs, recliners, sectionals, and much more. In addition to physical brick and mortar locations, you can use this website to create furniture with customized features. You can also check out design inspirations, in addition to a wide inventory of ottomans, loveseats, and tables. You can also use the website to take advantage of a 3D room planner. Season offerings and collections are featured on the site, including the current Fall Collection. Urban Attitudes is another example of their collections, offering shoppers the opportunity to check out a wide array of modern and urban furniture options. For most up to date offers check out La Z Boy on Facebook and Twitter or contact La Z Boy Support for any questions.